During a financial conference Electronic Arts‘ Chief Financial Officer Blake Jorgensen shared the release window for Anthem an IP action multiplayer RPG. 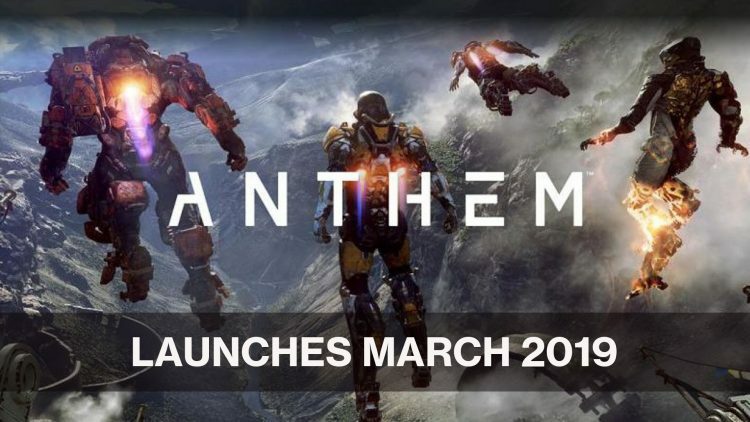 Anthem will be making it’s way to PC, PlayStation 4 and Xbox One in March 2019. Later in the fiscal year, we’ll launch our stunning and ambitious new IP Anthem. Every dimension of this game will offer something entirely new for our audience of players, from a new universe with unique stories that BioWare is creating, to the cooperative gameplay, to the epic and beautiful environment that constantly evolves around the players. Anthem is a fundamentally social experience and will open new ways for fans to join the community and play early, enabling us to shape and refine the game with their input and feedback. We’re deeply excited to launch this brand new franchise and equally excited to work with our players to make Anthem a game they can’t wait to play and share with their friends for years to come. What can we take from this? Anthem will be a game with co-op and will have a testing phase that the gaming community can join to help EA with developing Anthem. Further news has been shared that the executive producer of Dragon Age Mark Darrah has been confirmed for joining the Anthem team also in the same role. We’ll keep you up-to-date with any news about the Anthem project. If you enjoying reading about what EA are up to you’ll definitely want to check out the upcoming EA Play Press Conference June 9th To 11th. For a rundown of the latest news check out our Top RPG news and don’t forget to check out the Top 5 RPGs this month.